Children throughout the school engage in daily Physical Education lessons focusing on a wide range of fundamental movement skills and fitness development. Students have the opportunity to participate in cross country, athletics and swimming carnivals. A learn to swim program is also offered to junior students each year. 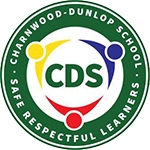 Charnwood-Dunlop School offers it's senior students opportunities to participate in team sports, competing annually in Basketball, Rugby League, OzTag and AFL competitions.